The Missouri Technology Corporation ("MTC") is a public-private partnership created by the Missouri General Assembly to promote entrepreneurship and foster the growth of new and emerging high-tech companies. MTC focuses on 21st Century bioscience industries that build on Missouri's rich history in agriculture and technology. MTC is governed by a 15-member board of directors, which is appointed by Missouri's Governor, Speaker of the Missouri House, and President Pro Tem of the Missouri Senate. The President of the University of Missouri System and the Director of the Department of Economic Development are ex-officio members of the board. Bayer CropScience AG, an agricultural input company, provides crop science services in the areas of seeds, crop protection, and non-agricultural pest control. The company focuses on crop and food security solutions, as well as seeds and traits to harvest and productivity in the areas of cotton, citrus, corn/maize, fruits and vegetables, grape, oilseeds, rice, soybeans, wheat, sugar beets, and sugar cane. It offers chemical and biological crop protection products and solutions, including fungicides, herbicides, insecticides, seeds, and seed growth solutions; and services for sustainable agriculture. The company also provides information and related videos on crops, such as areas under cultivation and production volumes and their natural enemies; and pests, diseases, and weeds. To help scientific companies adapt their space to their needs, BRDG Park has an exclusive relationship with Wexford Science + Technology, a development company that provides real estate strategies and solutions exclusively to universities, academic medical centers and research institutions. Wexford works collaboratively with its partner institutions to help create and develop vibrant, mixed-use, amenity-rich Knowledge Communities that are built on a foundation of research, discovery and entrepreneurial activity. St. Louis Economic Development Partnership brings together the economic development agencies from St. Louis County and the City of St. Louis to drive growth, generate prosperity and catalyze investment throughout the region. As an esteemed Accredited Economic Development Organization, the Partnership provides a broad range of services, including entrepreneurial support (financing and incubators), business expansion and retention, real estate and community development, and international trade support through World Trade Center St.
Bryan Cave LLP has a diversified international legal practice. The firm represents a wide variety of business, financial, institutional and individual clients, including publicly held multinational corporations, large and mid-sized privately held companies, partnerships and emerging companies. Aided by extensive investments in technology, Bryan Cave’s approximately 1,000 lawyers across the United States, the United Kingdom, Continental Europe and Asia efficiently serve clients’ needs in the world’s key business and financial markets. The James S. Kemper Foundation gives back to the community through grants and scholarships, and by developing future business leaders, with a special focus on the insurance industry. Monsanto is committed to bringing a broad range of solutions to help nourish our growing world. We produce seeds for fruits, vegetables and key crops – such as corn, soybeans, and cotton – that help farmers have better harvests while using water and other important resources more efficiently. We work to find sustainable solutions for soil health, help farmers use data to improve farming practices and conserve natural resources, and provide crop protection products to minimize damage from pests and disease. Through programs and partnerships, we collaborate with farmers, researchers, nonprofit organizations, universities and others to help tackle some of the world’s biggest challenges. To learn more about Monsanto, our commitments and our more than 20,000 dedicated employees, please visit: discover.monsanto.com and monsanto.com. BioSTL advances St. Louis’ economic vitality by cultivating a strong bioscience and innovation ecosystem. BioSTL organizes business, university, and philanthropic leaders around a set of deliberate strategies that capitalize on St. Louis’ strengths in medical and plant sciences. Focus areas include: building and investing in startups through our venture development arm, BioGenerator; improving access to investment capital; ensuring appropriate physical infrastructure; promoting science- and innovation-friendly public policy; fostering an inclusive entrepreneurial talent pool; attracting the U.S. presence of international companies through our GlobalSTL initiative; and building global awareness of St. Louis’ strengths. Sidley Austin is a U.S. based corporate law firm, with around 1,900 lawyers. The firm is one of the highest paying companies in the U.S. and it has offices in 20 cities worldwide, with the most recent addition of Munich in 2016. It is a full-service law firm, with broad experience in transaction and litigation matters. The firm was formed as the result of the merger of two firms: the Chicago-based Sidley & Austin, founded in 1866, and the New York-based Brown & Wood, founded in 1914. The merger was completed in May 2001. The firm's headquarters is at One South Dearborn in Chicago's Loop. The St. Louis Regional Chamber is the chamber of commerce and economic development organization for the 16-county, bi-state St. Louis region. With approximately 4,000 members, the mission of the organization is “to unite the region’s business community, and to engage dynamic business and civic leadership to develop and sustain a world-class economy and community.” The organization undertakes regional economic development and chamber of commerce activities, including a proactive regional public policy agenda and marketing the St. Louis region nationally and internationally to develop, retain, expand, and attract targeted industries. The strategic partner for investors and exporters in Argentina. Created in 2016, the Argentine Agency for International Trade and Investment contributes to the social and economic development of the country: attracting and facilitating quality investment, helping Argentine companies to expand their business in the world, promoting the improvement of the general business climate and the regulatory framework, and developing accurate market information that adds value for both investors and Argentine companies' work, and developing accurate market information that adds value for both investors and Argentine companies. The Agri-Technology Commercialization Centre is a cluster of agricultural innovation resources dedicated to enhancing the research, development and commercialization of groundbreaking agri-technologies, and create and attract profitable businesses that advance Canada’s leadership position in global markets. The Agri-Technology Commercialization Centre is supported by Agriculture and Agri-Food Canada and the Ontario Ministry of Agriculture, Food and Rural Affairs through Growing Forward 2, a federal-provincial-territorial initiative. The Advanced Research Projects Agency-Energy (ARPA-E) invests in disruptive ideas to create America’s future energy technologies. The Agency’s mission is to accelerate transformational energy innovations that will create a more secure, affordable, and sustainable American future. ARPA-E focuses exclusively on technologies that would fundamentally change the way we use, generate, and store energy. The Agency invests in innovative ideas from academia, private industry, national labs, start-up companies, and small businesses—providing project teams with an average award of $2-3 million over several years. Every project team receives hands-on guidance to meet ambitious technical milestones that push the boundaries of energy innovation. ARPA-E’s groundbreaking Technology-to-Market program also empowers project teams with business insight and strategies to accelerate the adoption of their potentially game-changing technologies. The Consulate General of Canada is Chicago is responsible for Canadian interests in the states of Illinois, Missouri, Wisconsin, northwestern Indiana and the Kansas City metro area. The mission's 27 staff members in Chicago work to further this relationship by promoting Canada's interests in this region through stronger trade and economic ties, as well as enhanced political, academic and cultural links between Canada and the Midwest. The Consulate General also provides consular assistance to Canadians who are visiting or living in the accredited territory. The Foundation for Food and Agriculture Research, a 501 (c) (3) nonprofit organization, builds unique partnerships to support innovative and actionable research addressing today’s food and agriculture challenges. Leveraging public and private resources, FFAR will increase the scientific and technological research, innovation, and partnerships critical to enhancing sustainable production of nutritious food for a growing global population. Established by the 2014 Farm Bill, FFAR is governed by a Board of Directors chaired by former Secretary of Agriculture Dan Glickman and with ex officio representation from the U.S. Department of Agriculture and National Science Foundation. Technology Acceleration Partners (TechAccel, LLC) is a development company focused on advancing innovation in Agriculture, Animal Health and Food Technology sectors. Our partner relationships with Global Industry Strategics leverages their strong technical expertise, regulatory infrastructure and the global distribution network. TechAccel co-funds the development, de-risking and advancement of technologies that fill partner portfolio gaps and/or address new adjacencies. Technologies are typically transformative in nature and focused on technical paths to address rapid demand growth for food quality and quantity. Partner companies utilize TechAccel to collaboratively advance and de-risk technologies and accelerate time to market. The Agricultural Utilization Research Institute (AURI) is a nonprofit; developed to produce new uses for agricultural products through science and technology, partnering with businesses and entrepreneurs. The goal of AURI is to bring agricultural ideas to reality. We generate economic impact in Minnesota communities by helping businesses grow their markets through AURI innovative opportunities in four focus areas: biobased products, renewable energy, coproducts and food. We provide a range of services to expand markets, develop new uses and improve processes. AURI provides scientific technical assistance, technology transfer and a targeted network of resources to develop value-added uses for crops and coproducts. We provide applied research services and product development assistance to create new ag-based products, process refinements to help move businesses to market. With unique facilities and professional staff, AURI is a one-of-a-kind resource that provides assistance to Minnesota businesses looking to create more value for the state’s agricultural products. AgrOnov is the first accelerator of agricultural innovation in France, which gives companies in connection with agriculture the opportunity to develop the network they need to boost their growth in the service of a farm of progress combining profitability and responsibility. AgrOnov also makes available to its users a nursery with offices, meeting and conviviality spaces, as well as greenhouses, laboratories and experimental fields. Business France is the national agency serving the internationalization of the French economy. It is responsible for the international development of companies and their exports, as well as the prospecting and reception of international investments in France. Created on January 1, 2015, Business France is the result of the merger of UBIFRANCE and the French Agency for International Investments (AFII). Business France has 1,500 employees located in France and in 70 countries. It is supported by a network of public and private partners. InvestBA is Buenos Aires City’s Investment & Trade Promotion Agency. As a part of the Undersecretariat of Economic Development, and the Ministry of Modernization, Innovation and Technology of the city, they help promote BA as a great investment destination, communicating business opportunities, and guiding investors along the way. Missions: to position BA as the main FDI destination in Latin America and promote BA’s products and services abroad, sharing our great talent with the world, creating new jobs, and encouraging sustainable growth. Agriculture is now one of the fastest growing sectors of the Michigan economy. MSU works to increase farmers’ success while protecting the environment, ensuring food safety, reaching new markets and advancing agriculture through applied research. Michigan State University helps people improve their lives by bringing the vast knowledge resources of MSU and the ideas of their students directly to individuals, communities and businesses. Novus International, Inc., headquartered in metropolitan St. Louis, Missouri, is a global leader in animal nutrition solutions. Novus operations include corporate offices, research and development laboratories and manufacturing facilities in more than 35 countries, as well as smaller offices with field staff in an additional 60 countries. Customers in more than 100 countries trust the family of Novus products to be an integral part of their daily animal agricultural operations. In the past decade, the company has grown from 150 employees in a few countries to more than 750 employees worldwide. The Purdue Foundry exists to help Purdue students, faculty and local alumni move ideas to the marketplace more quickly. It is a place to transform innovators into entrepreneurs by providing advice on entity formation, ideation, market analysis and business model development. They are focused on helping individuals at Purdue who have business of product ideas and want to turn them into a company. The process and passion for the success of each company is driven by the entrepreneur and while the Foundry provides support, education, and additional tools to help each client reach success. Dow AgroSciences is a wholly owned subsidiary of the Dow Chemical Company specializing in pesticides, seeds, and biotechnology solutions. The company also provides a variety of products and services, including innovative hybrids, crop-enhancing traits, crop protection products, pasture and land management, residential pest control. The company is based in Indianapolis, Indiana. Dow AgroSciences operates brand names such as Sentricon, Vikane, Mycogen, SmartStax, Pfister Seed, Phytogen, Prairie Brand Seed, Profume, Renze Seeds and Triumph Seed. Lewis & Clark Ventures was founded by former operators with the conviction that innovation and entrepreneurial talent are plentiful between the U.S. coasts. Our venture capital firm invests in the highest potential Series A and B stage companies throughout America’s heartland in sectors such as enterprise software, healthcare IT and agriculture technology. Our vision for success is to become a trusted partner to every entrepreneur that we back and assist in their journey towards scale and significance. In 2008, Heliae was founded on the premise that algae can provide significant value to society if commercialized with the appropriate technology. Since then, Heliae has assembled a dynamic team of innovators and integrators with diverse technical backgrounds, each with a passion for the development of disruptive technology, an approach grounded in sound science, and a keen eye toward the immense opportunity that algae presents. Heliae continues to be supported by leaders in the food, agriculture, and industrial sectors who hold a long view on macroeconomic and environmental factors that will affect the future resource balance of our planet. This long view has allowed Heliae to build a base of technology that provides a distinct competitive advantage in the industry and has positioned the company as the leader in providing algae technology solutions to the industry and algae products to consumers. The University of Missouri was founded in 1839 in Columbia, representing the birth of public higher education west of the Mississippi River. MU faculty, staff and students help fuel economic growth and prosperity by generating innovations and original ideas that prepare a highly educated workforce, help businesses succeed and create jobs. The university’s College of Agriculture, Food and Natural Resources conducts advanced research with global reach and provides extension programs with a sustained impact on the economy. MU is Missouri’s largest public research university. Vestaron Corporation develops and produces insecticides by employing peptides sourced from spiders in the United States. Its products are used in agricultural, animal health, and specialty non-crop applications, as well as in household insects and commercial pest control applications. Vestaron was formerly known as Venomix, Inc. and changed its name to Vestaron Corporation in August 2009. The company is headquartered in Kalamazoo, Michigan. NewLeaf Symbiotics is a venture-backed agricultural biologicals company based at BRDG Park/Danforth Center in St Louis. NewLeaf is focused on R&D, production, and commercialization of beneficial plant microbes, especially a ubiquitous family of bacteria called pink-pigmented facultative methylotrophs (PPFM). These bacteria provide plant health and crop protection benefits in a number of important crops. The Company was formed In January 2013 when NewLeaf closed a $7MM Series A funding round from Rockport Capital, Pangaea Ventures, and Open Prairie Ventures. Otter Capital led a $17MM Series B round in September 2014. 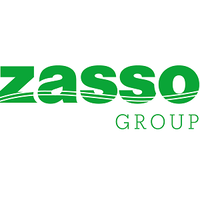 Zasso Group specializes in weed and invasive plant control technologies by using high-voltage electric power. These powerful systems deliver safe and robust solutions without requiring any chemical agro-toxics – save for the environment, the infrastructure and human beings. Specifically designed electric applicators run high-energy power through the whole plant, clearing targeted areas accurately within seconds and keeping them free of plants for months without any such side effects as chemical residues, chemical drift and resulting plant damages, soil erosion, and damages to infrastructure caused by mechanical elimination. Benson Hill Biosystems is an agriculture company focused on improving crop performance using big data analytics and plant genomics. We partner with organizations to empower innovation and accelerate research and product development without major infrastructure costs or distraction from their core businesses. Our platform, CropOS™, is a computational engine that uses machine learning and biological know-how to provide decision support for a range of desired crop improvement outcomes – whether for higher yield, enhanced nutrition, or resource use efficiency. This is accomplished using a spectrum of approaches from biotech-based traits to breeding and genome editing.